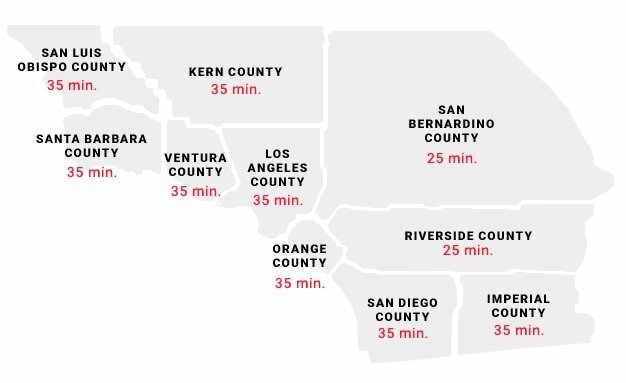 FASTEST RESPONSE TIMES IN CALIFORNIA! We’re yet to meet a water heater we couldn’t fix or install. Whether gas or electric, tankless or standard, it’s best to choose a technician with specific experience installing your water heater brand and model. Our large team of expert technicians have seen them all, which means fast, efficient service and steaming hot water before you know it. We Are Tankless Water Heater Specialists! When you have a plumbing emergency, you want immediate service. That’s what we provide at RooterEX. We dispatch our plumbing professionals to your Southern California home or business, fast. And our skilled, trained, and licensed pros are always efficient. We fix your problem, 24/7.